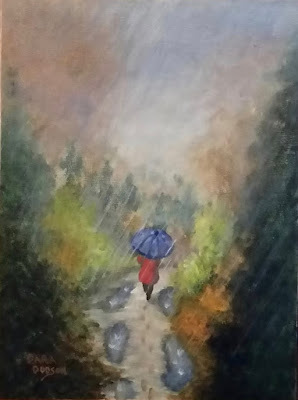 You have a photo that you'd love to paint. The question is how to transfer it to canvas. You can draw, but want to make sure you get it just right. How do you go about it? It's actually a simple process if you know how to do it, and now I'll show you how! 1. Make two photocopies of your photo, one in black and white and one in color. 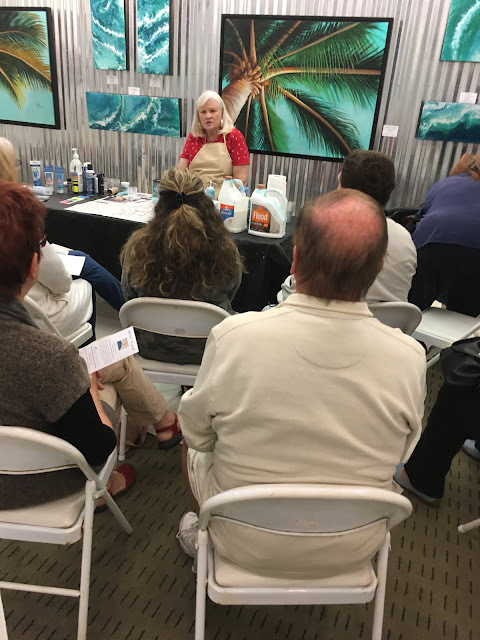 Set aside the color copy for a reference when you start painting. 5. You are now ready to paint your masterpiece! 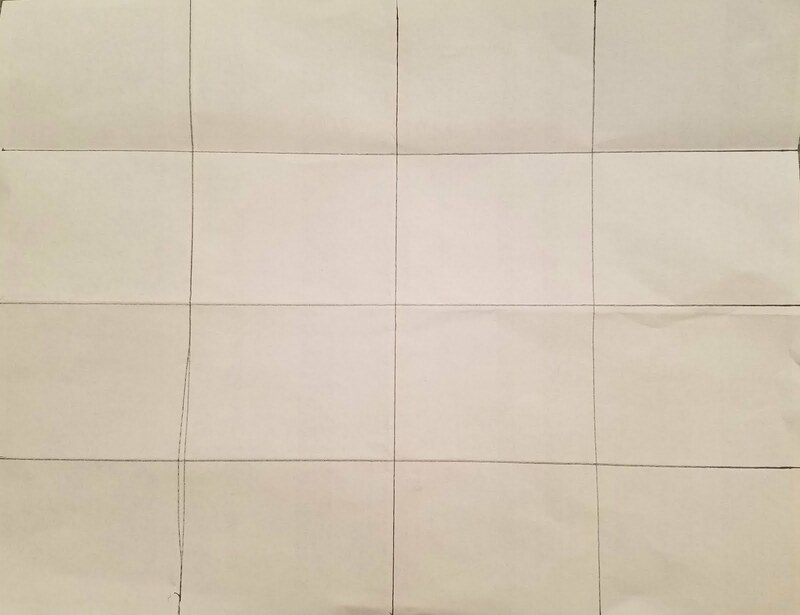 This photo is of a piece of copy paper with the lines drawn over the folds. 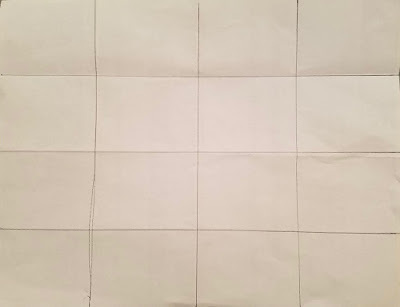 I worked with a blank piece of paper so you could see how the grid lines would look. 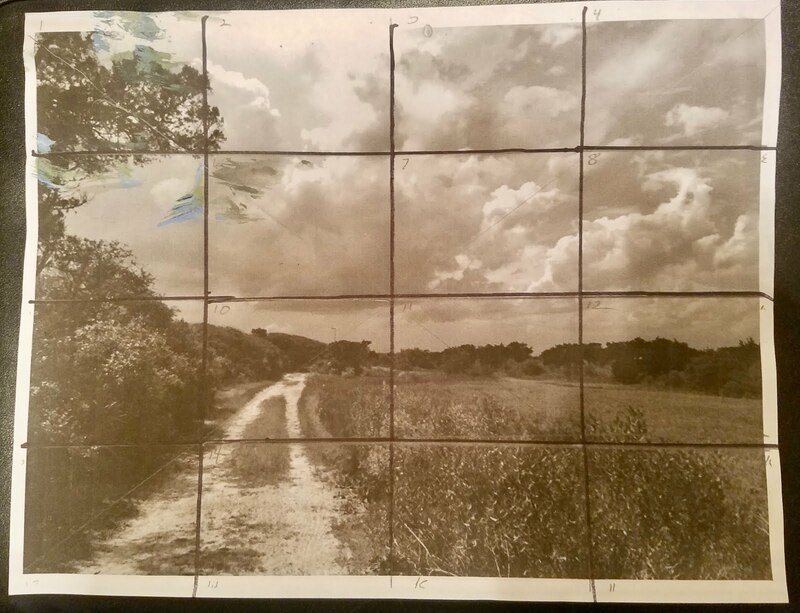 If this were a photocopy of your photo, I'd start your drawing one box at a time from the top left across to the right, then left to right on the next row, and so on. Practice doing this and you'll get good at it and it will go fast! Make mental notes as you go, "this line starts 1/3 the way down the box and runs across to 1/2 way down the other side of the box", etc. Pay attention to details! (see 3rd photo) Number your boxes to keep track of where you are. This shows how the lines are to be drawn on the canvas. 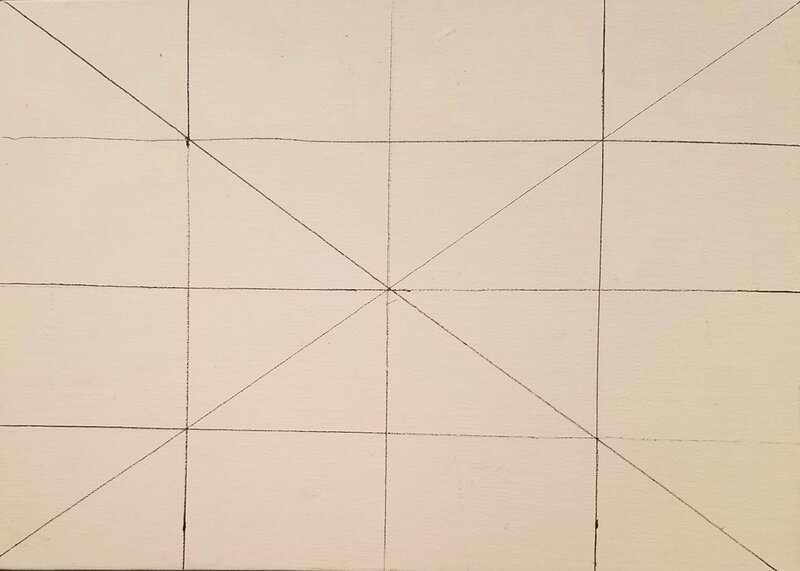 First the diagonal "X" to find the center, then draw the rest of the lines. You've drawn the lines on a photocopy of your photo, then the canvas, (remember, use charcoal on the canvas!) you can then transfer the contents of each "box" of your photo to the box on your canvas grid. (NOTE: You'll want to erase the "X" lines on the canvas before you transfer your photo lines) Bear in mind that your boxes on the canvas will NOT be the same size as the boxes on the paper unless the canvas is the same size as the paper. The purpose of this lesson is to teach you how to go UP ( or DOWN) in size and still have an accurate drawing. This photo has been copied in black and white on 8 x 11 copy paper. I drew these lines with a marker so that you can see them clearly. 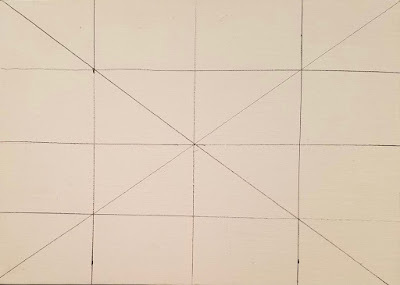 If you look at each box individually, you can see there's not a lot to draw but if each one is copied carefully, then the whole photo will be nicely transferred onto your canvas and you will end up with a really nice painting! The clouds do not have to be exact, just the main lines are sufficient. My only caution with this method is you should use the same basic shape of canvas as your photo until you get good at this. It does NOT have to be the same size, however! When I stated above that you need to be careful to copy lines carefully, look for example at the road. 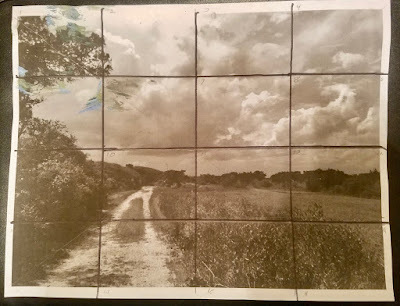 In the bottom left box, notice that the edge of the road leaves the photo just slightly left of the middle of the box, but at the top of that box the road is almost in the right corner. These lines are important to get right. The basic shape of each object, trees, bushes, roads, even the background trees are all important to get right. Especially their location! So when you're finished copying the lines, go back over each box and double check your work. You'll be glad you did, because we always have some corrections to make. Again, it helps to number the boxes on both the photocopy and the canvas when you do this. It saves a lot of time. After I have gotten everything transferred to my satisfaction, I erase the numbers and box lines carefully before I start painting. I use a dampened tissue to do this. But be careful not to erase your drawing! PLEASE, do NOT try to transfer all the details! Just the basic outlines! Refer to your photo for the details as you paint, otherwise you will only make a mess and drive yourself crazy with frustration. The beauty of this plan is that it works for almost any size canvas. However, if you go up to a large canvas, I'd recommend making smaller boxes by drawing more lines. Keeping your boxes on the smaller side helps while you are still learning the process. Go up in canvas size a little at a time until you're more comfortable transferring photos onto the canvas. And, until you've had a lot of practice, I'd keep my shapes simple as well. For example, if you want to do a SQUARE painting, I'd have a square photocopy to work from. Just fold your photocopy and find an arrangement you like. After you've gotten comfortable transferring, then the sky is the limit! So... Ready? Set? GO! And, have some fun!! !